Brian McCormick is a 56 year-old husband and father to two grown sons, now in college. After 16 years of bravely struggling with serious heart and kidney complications, Brian has been told by his physicians that he must now undergo a lifesaving heart and kidney transplant. Over the years, Brian’s heart failure required a mechanical valve, pacemaker and defibrillator. While needing surgery, extensive medical procedures and appointments, Brian never complained and even continued to work in his construction job. By 2014, Brian’s heart became so weak that it adversely affected his kidneys, and he went into complete renal failure. Brian is now too sick to consider working at his job, and he desperately needs your help! Brian grew up and continues to live in Amelia, Ohio, close to his life-long friends, mother, brothers and sisters. He is very active and involved with church, and gives generously of his time. 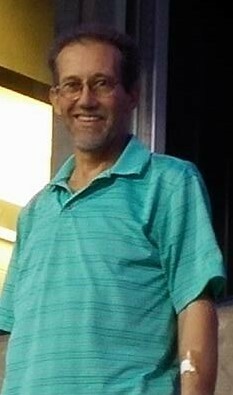 Brian has always coached his boys in sports, and worked as a stage curtain installer for over 20 years, even with ongoing and sometimes worsening health and heart problems. Brian eagerly looks forward to being able to one day return to work, and living an active and healthy life once again. 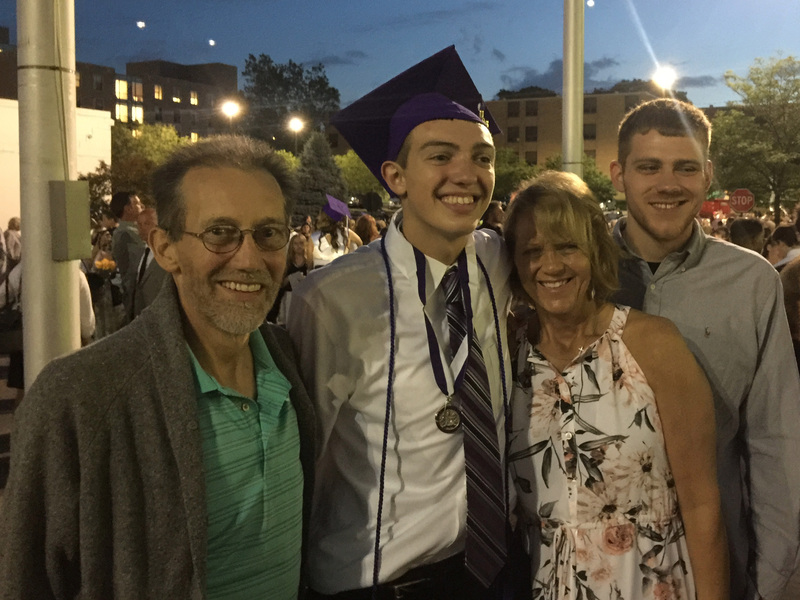 Loved and respected by his family, faith community and friends, together Brian and his family are committed to seeing him through his upcoming transplant and supporting him through his recovery. After extensive medical testing, Brian is active on the transplant list for both a heart and kidney transplant at the University of Kentucky Hospital. Transplants are lifesaving, but very expensive and while Brian has some health insurance coverage, it is very limited. The cost of both a kidney and heart transplant will be more than Brian can handle alone. Co-pays and deductibles, lab fees, health insurance premiums, medical bills, caregiver fees, travel expenses and lodging are only a handful of out-of-pocket expenses he will face. Brian will need to relocate after his transplant surgery so he can be closer to the transplant center. He will also require extensive, life-long, costly medications that he will need to halt organ rejection. These expenses could cost upwards of $100,000 and Brian cannot do it alone. To help with the financial burden of Brian’s uninsured expenses, a fundraising campaign in his honor has been established with HelpHOPELive, a trusted nonprofit organization that has been providing community-based fundraising guidance to patients and their families for more than 30 years. All donations are tax deductible, are held by HelpHOPELive in the Great Lakes Heart/Kidney Transplant Fund, and are administered by HelpHOPELive for transplant-related expenses only. Brian has chosen to fundraise with HelpHOPELive in part because HelpHOPELive assures fiscal accountability of funds raised and tax deductibility for donors. Donors can be sure that funds donated will be used only to pay or reimburse medically-related expenses. To make a tax-deductible donation to this fundraising campaign, click on the yellow DONATE NOW BUTTON. For more information, please contact HelpHOPELive at 800.642.8399. Thank you ahead of time for your continued prayers, support and generosity. On Wednesday, April 12 at 3:30 in the afternoon, Brian got the call! The hospital at the University of Kentucky had organs that were a match for Brian. He was in dialysis when they called and had to have that session stopped, so that we could rush to Lexington. Brian went into surgery at 3:00 am on Thursday and after a 7 hour surgery he had a new heart. After resting for about 7 hours, he also received his new kidney! We in the family are truly amazed and so profoundly grateful. Our prayers go out to our donor’s family. A week into it now, Brian has begun walking, with the help of 3 nurses. He will remain in the icu until he is physically able to go to the step-down unit where intense physical rehab will happen. After a 20 day stay at the University of Kentucky hospital, Brian was declined 1A status for transplant and was released on March 18 . He was sent home to remain on the 1B list. As disappointed as we all were, I would be lying if I said I wasn’t happy to have him back home. 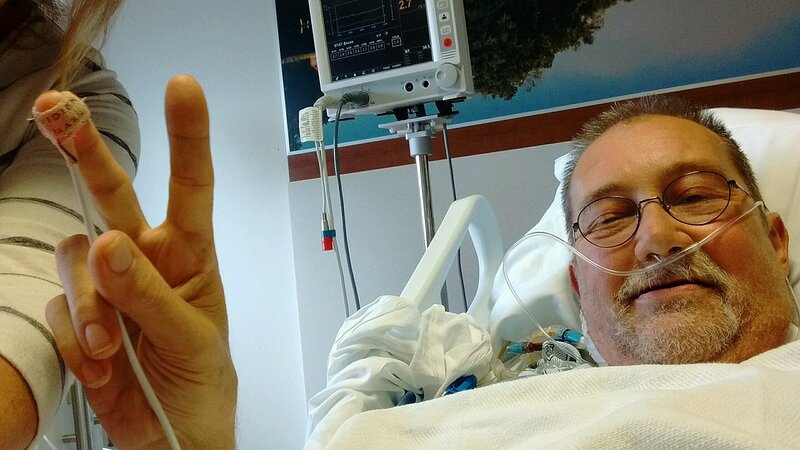 He continued dialysis, even adding an extra day of it to try to keep more fluid off of him. Then, out of the blue on April 12 , Brian received a phone call from Donna the transplant coordinator, telling him they may have possible organs for him, depending on tissue​ match. At 2:40 am April 13 Brian received a life saving heart transplant, followed by a kidney transplant 9;30 that evening. Brian’s vitals are good, but the kidney hasn’t “woken​ up” yet. It’s hard because they are trying to keep the fluid off the heart, while at the same time, keeping the kidney hydrated.. The doctors feel positive, this will change. As always, thank you for your continued, love, support and prayers. Love Linda and family. Wonderful news on the transplant! Prayers continue. So thrilled to hear Brian received the organs! Prayers being sent for his recovery. Sounds like a VERY BRAVE young man and a loving family for support. I know Chris went to school with Trish.I am so hoping and praying for your complete recovery. Enjoy each other every minute and continued prayers for your wonderful life together !! Hang in there Brian! We continue to pray for you. Onward and upward Brian, praying for you and your beautiful family! Hang in there, Brian. Our prayers are with you. So thrilled each time I look at site and see the generosity of people! This is a long road and we are all on the journey to getting my brother back to a 'normal' quality of life. THANK YOU to all who have donated, prayed or even just SHARED this link with others that might want to help. The more his story is told, the more incredible people will be reached!!! No amount is too small as it adds up quickly!!! I've never met you, Brian, but your son Matt has stayed the night at my house several times with my son, Cody Frye. Matt is one of the most polite young men I know. You and your wife raised a fine young man with great manners. We will pray for you and the family. Can't imagine what you are going through. Take care! I never knew any of this. So sorry. We will pray for you and ur family. Stay strong! 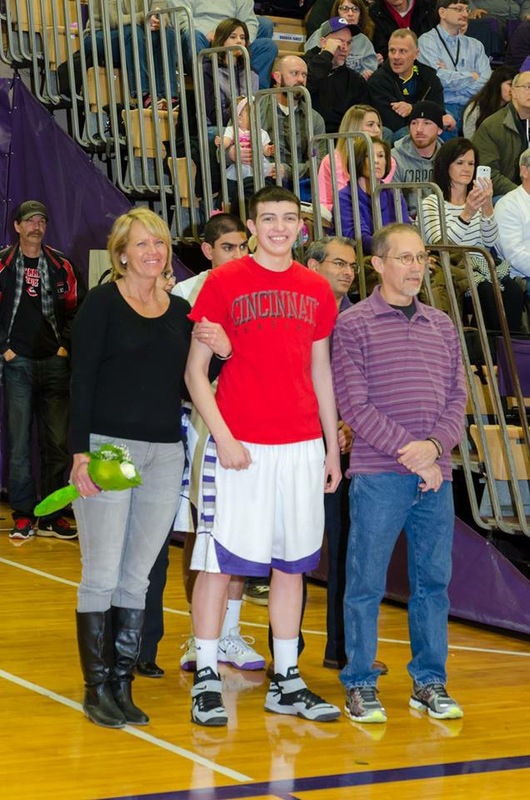 Keep fighting second Dad! I'll keep you in my prayers! Keeping you in my prayers, Brian!! Best of Luck to a Great Family!